Orthodox Jews have more in common with white evangelical Protestants than with other Amercian Jews. Both large majorities of Orthodox Jews (83 percent) and white evangelicals (86 percent) say that religion is very important in their lives, while only about one-fifth of other American Jews say the same. 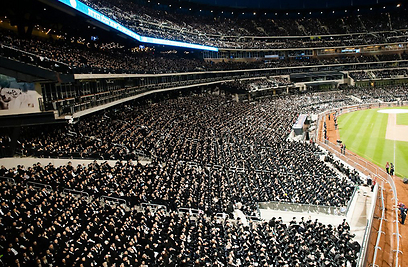 About three-quarters of both Orthodox Jews (74 percent) and white evangelicals (75 percent) say that they attend religious services at least once a month.